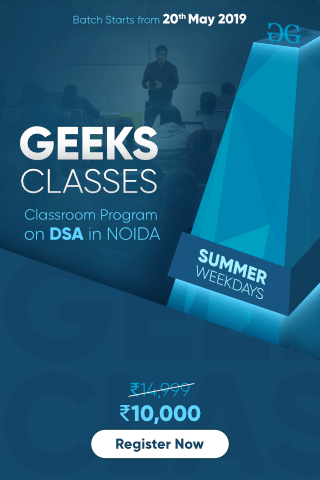 In TCP connection, flags are used to indicate a particular state of connection or to provide some additional useful information like troubleshooting purposes or to handle a control of a particular connection. Most commonly used flags are “SYN”, “ACK” and “FIN”. Each flag corresponds to 1 bit information. 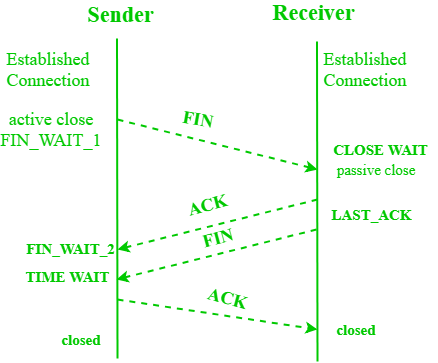 Synchronization (SYN) – It is used in first step of connection establishment phase or 3-way handshake process between the two hosts. Only the first packet from sender as well as receiver should have this flag set. 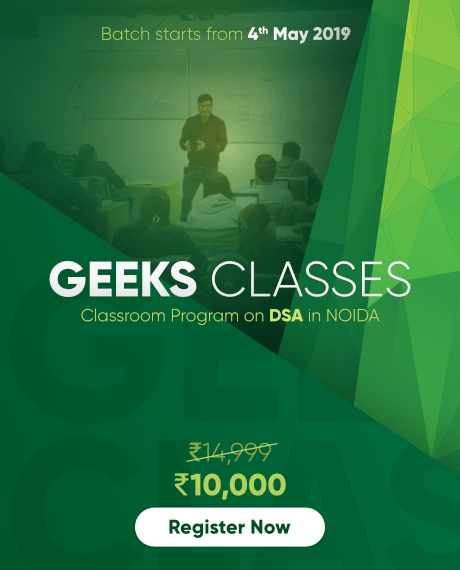 This is used for synchronizing sequence number i.e. to tell the other end which sequence number they should except. Acknowledgement (ACK) – It is used to acknowledge packets which are successful received by the host. The flag is set if the acknowledgement number field contains a valid acknowledgement number. 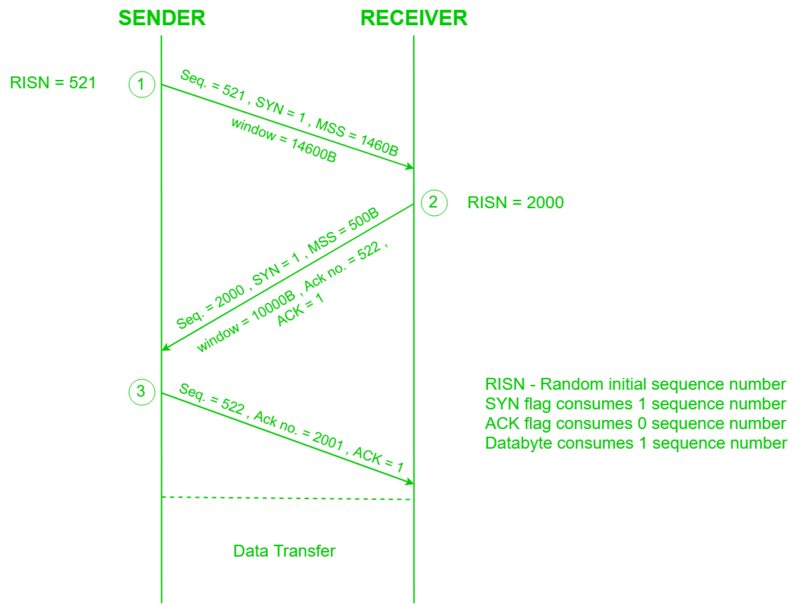 In given below diagram, the receiver sends an ACK = 1 as well as SYN = 1 in the second step of connection establishment to tell sender that it received its initial packet. Finish (FIN) – It is used to request for connection termination i.e. when there is no more data from the sender, it requests for connection termination. This is the last packet sent by sender. It frees the reserved resources and gracefully terminate the connection. 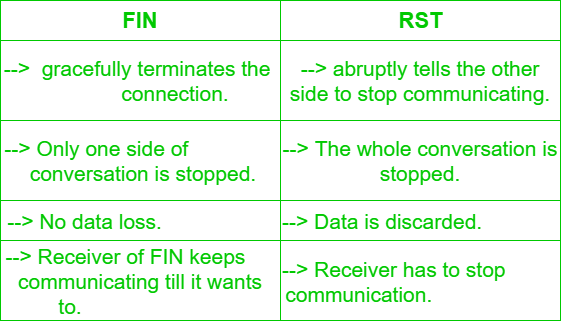 Reset (RST) – It is used to terminate the connection if the RST sender feels something is wrong with the TCP connection or that the conversation should not exist. It can get send from receiver side when packet is send to particular host that was not expecting it. Push (PSH) – Transport layer by default waits for some time for application layer to send enough data equal to maximum segment size so that the number of packets transmitted on network minimizes which is not desirable by some application like interactive applications(chatting). Similarly transport layer at receiver end buffers packets and transmit to application layer if it meets certain criteria. This problem is solved by using PSH. Transport layer sets PSH = 1 and immediately sends the segment to network layer as soon as it receives signal from application layer. Receiver transport layer, on seeing PSH = 1 immediately forwards the data to application layer. In general, it tells the receiver to process these packets as they are received instead of buffering them. 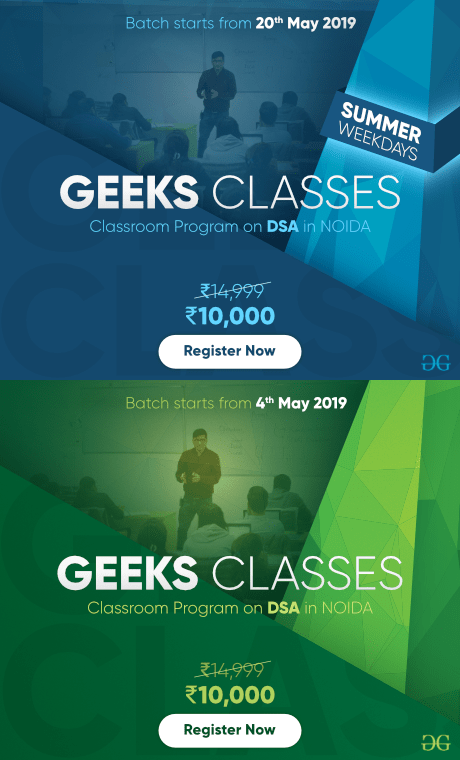 Urgent (URG) –Data inside a segment with URG = 1 flag is forwarded to application layer immediately even if there are more data to be given to application layer. It is used to notify the receiver to process the urgent packets before processing all other packets. The receiver will be notified when all known urgent data has been received.